Stratos Encore Pro is a precisely adjustable attachment for all brass instruments. Designed to reduce mouthpiece pressure and optimise your jaw position and so improve your embouchure. Engineered to last a lifetimes playing, it is hand crafted entirely in the UK using high quality Aviation Grade polished aluminium. This high-quality embouchure system is simply attached to your instrument or existing mouthpiece whilst you play or practise. STRATOS Encore Pro reduces mouthpiece pressure and ensures a good jaw position taking away the need to “think” about position and pressure. Practising with STRATOS Encore Pro re-educates your muscles and nerves and allows you to adopt your improved embouchure position naturally, even after you remove it from your instrument. This allows you to concentrate on other aspects of your playing, and you can relax back into better and better performances. STRATOS Encore Pro has been shown to help solve many embouchure problems. It also gives improvements in power, range, tone, and stamina allowing you to play with more ease and greater flexibility. Heavy mouthpiece pressure stop your lips vibrating properly and restricts the flow of blood to the them, so they tire more quickly, reducing your power and volume. Excessive pressure over a long period of time may actually damage your lips and muscles. By using STRATOS Encore Pro its adjustable spring-loaded chin-rest removes excess pressure from the lips, allowing them to vibrate more freely, and restores the blood supply to them. You will be able to play with more power and for longer. After using STRATOS Encore Pro for even a short time, most players find that the improvements in power and tone mean that they can play more efficiently and effectively. Notes that you struggled to reach before using STRATOS Encore Pro, become so easy to play and at last you can fulfill the potential of your instrument. Play beyond what you thought were your limits. Cushion the blow with STRATOS Encore Pro and achieve new heights in your playing. Get your new perfect partner today. 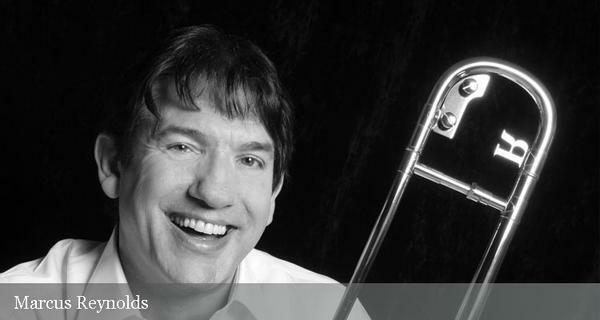 As an educator and a trombone player, I was so amazed with the STRATOS as a beneficial aid for the chops (lips) that every brass player should have. I believe this to be an invaluable tool for busy educators like myself. I would recommend it to all brass students. Receive FREE articles and tips about the embouchure and brass playing by e-mail, together with information about STRATOS products. Your first FREE article is 7 Golden Rules for Better Brass Playing by Marcus Reynolds. Sign up using the form below. Have a question? Do not hesitate to contact me.